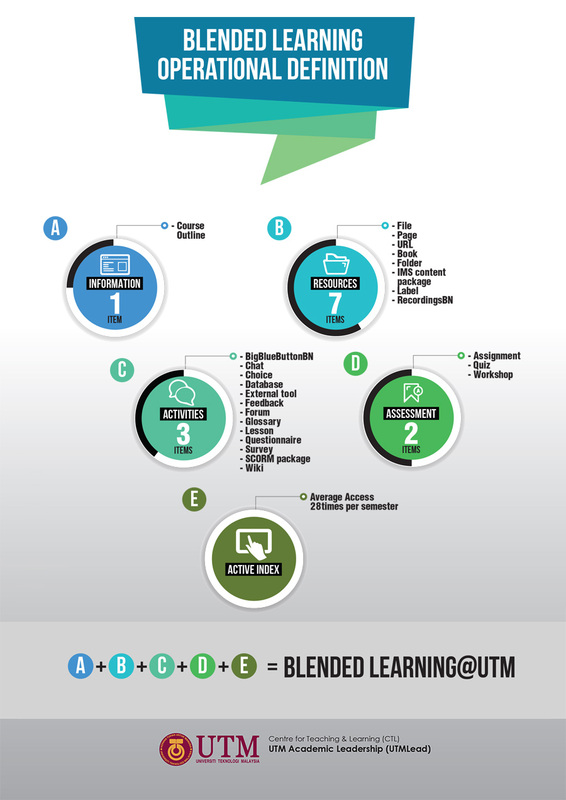 There are many types of activities module available in eLearning@UTM system; several types of assignments; activities for communication and collaboration; quizzes, assessments and surveys; tools to aid in managing students; and formats for delivering interactive content. A tutor or lecturer able to deliver their knowledge much quicker without additional labor costs. Anyone from any corners of the world able to participate at any time and this made localization possible. The most important outcome of this collaborative e-Learning is the creation of a sense of a learning community – Students gain a sense of purpose for participation when they see specific ways they can earn from and with others. Merangkumi penggunaan social media seperti Facebook, Twiter, blog, dll.